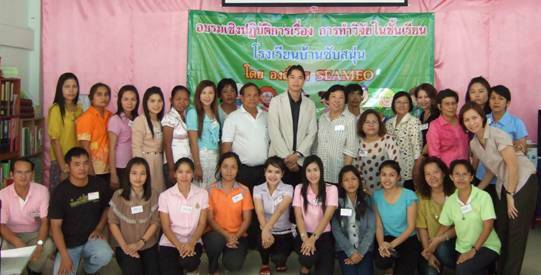 The SEAMEO Secretariat conducted a workshop on classroom research for teachers in two schools in Thailand under its SEAMEO Community Involvement Programme on 16-17 June 2012 to assist teachers identify and offer solutions to problems of students related to learning. 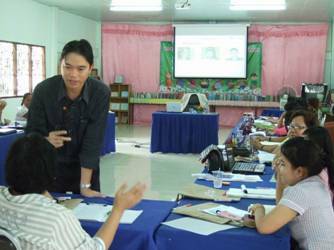 Twenty-three teachers of Ban Subsanoon School in Saraburi Province, and 4 from Ban Pruewai School in Chaseongsao Province benefited from the two-day workshop held at Ban Subsanoon School, Saraburi Province. Asst Prof Dr Khajornsak Buaraphan from the Institute for Innovative Learning, Mahidol University (Salaya Campus) was invited as a resource person. Through a series of activities, the teachers obtained a better understanding how a simple research with students could be conducted. 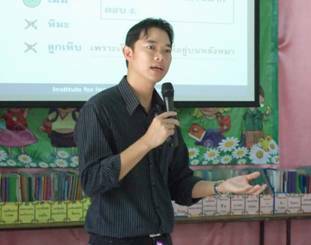 It is expected that the teachers would be able to apply the knowledge gained from the workshop to help solve learning problems of their students, particularly in reading and writing in Thai and in English, and learning basic skills in mathematics and science. 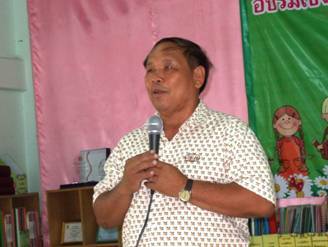 In coordination with the management teams of each school as well as the Educational Service Area in Saraburi and Chaseongsao provinces, the SEAMEO Secretariat identified the need for classroom research as early as 2010. Various activities are lined up to follow up on the workshop and assist teachers in these two schools adopted by the SEAMEO Secretariat. The SEAMEO Community Involvement Programme aims to improve the existing system of the adopted schools. For the past years, the implementation by the SEAMEO Secretariat has focused mainly on capacity building of teachers and students, learning facilities, school management, parents and community's involvement. The long term objective is to help the school improve the quality of teaching and learning. Mr Yutthasin Pannon, Director of Ban Subsanoon School gives his opening remarks. Asst Prof Dr Khajornsak Buaraphan, the Classroom Research Trainer explains the process in conducting a practical classroom research. 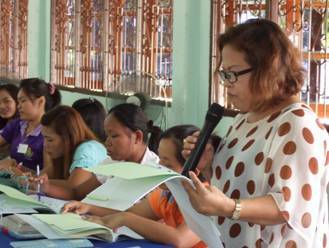 Teachers of Ban Subsanoon School and Ban Pruewai School participate in the workshop.